Wow, it’s been about three months since I’ve been able to get a blog post out. Life in Florida has been pretty busy. Every week we have swim class, Mommycise, one or two play dates AND I’ve taken up French lessons again. In between that, we have to try to squeeze in naps, mealtime, cleaning and grocery shopping. We’ve also been running around like crazy getting our various health screenings and vaccinations for our next assignment. Add in trips to Cincinnati, Jamaica, Atlanta and Denver—there’s not really been time to sit down and knock out a blog post. 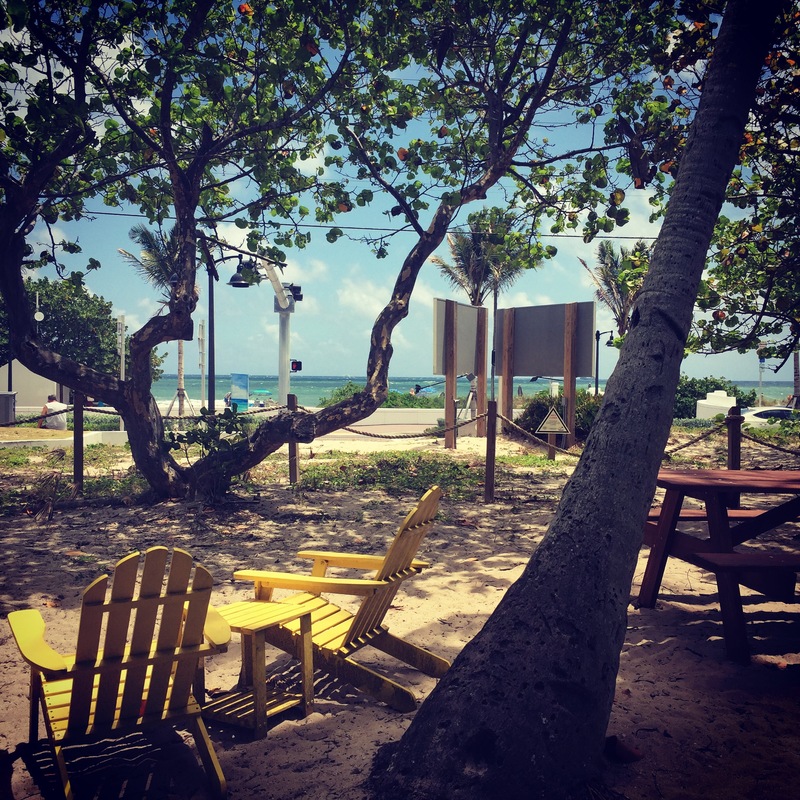 Our time here in Fort Lauderdale is dwindling down (we think), but before we leave I want to share some of the great things to do with kids and babies here. The beaches are a given—the water is usually a beautiful, turquoise and you can see right to the bottom. The sand is nice and there are long stretches of beach that, outside of holiday weekends, aren’t too crowded most of the year. If you are here in the summer, however, southern Florida can be pretty miserably hot, so you need both inside and outside options. Hands down, this is one of my favorite discoveries in Fort Lauderdale. Located in downtown near the riverfront, this museum is chock full of interactive exhibits that appeal to both kids and adults alike. From the Otters At Play exhibit (I mean, who doesn’t love otters?) to the aquariums housing local marine life and all the exhibits in between (want to experience the full force of hurricane winds? There’s an exhibit for that! ), the museum offers plenty to do on a sweltering afternoon. There’s even a play area where you can set your toddlers loose and an IMAX theater which is apparently home to the biggest screen in South Florida. The museum is open seven days a week and tickets run from $16 for adults to FREE for kids under two. Matt with his kind of toy. If there’s one thing I’ve quickly learned, it’s that toys that aren’t your own are always more interesting. That’s why I love going places where there are new toys and sensory opportunities for Baby Girl, like the Young at Art Museum. This museum, which is geared towards children, has multiple interactive exhibits and an area specifically for children under five that is stocked with toys, climbable artwork and objects for sensory play (like a water table). They also offer art classes, camps and “mommy & me” classes. I love taking Baby Girl there on a particularly hot or rainy day and letting her crawl around and explore. The museum is connected to the Broward County Library and even has a little café with really tasty food. Admission ranges from $11-$14 and memberships are available. The museum is open seven days a week. If you’re looking for a break from the heat during a stroll along the Riverwalk, this is the perfect place to stop. Founded in 1958, the NSU Art Museum contains 25,000 square feet of exhibition space, making it big enough to house a lot of interesting works of art, but not so big that it’s hard to get kids through before they get bored. Though it’s not a place I wanted to let my one-year-old run loose, the exhibits were visual enough that she made it through cruising in her stroller. We saw some really cool pieces from around the world, including a urinal art series. Yep, painted men’s toilets. Tell me your older kids wouldn’t get a kick out of that. The NSU Art Museum is open Tuesday-Sunday and admission ranges from FREE for kids under 12 to $12 for adults. There’s also a café where you can get a bite to eat and shop where you can pick up pictures of those urinals for your own home. Pretty much everything to do at this attraction is outside, but it’s still a great place to take the kids. It’s located outside of Fort Lauderdale at the Tradewinds Park in Coconut Creek, but it’s a short drive. Butterfly World features two awesome aviaries: one that you can walk through and be surrounded by hundreds of fluttering butterflies and another that features beautiful tropical birds. The park also features some beautiful gardens to stroll through and a Lorikeet Encounter where you can feed the birds right from your hands. You can even purchase many of the beautiful plants and flowers on display from the nursery. Butterfly World is pretty compact and a little pricey, but definitely a fun day out. It’s open Monday-Saturday and tickets range from $21.95-$29.95 (kids under two are FREE). There are discount tickets available—so be sure to look for one before you go! Up close and personal with these beautiful creatures. You can’t tell from my back, but I’m actually freaking out about how close the bird on my shoulder is getting to my face. We are lucky enough to have this state park right in our backyard. It features a two-mile paved loop (perfect for pushing a stroller around), great views of the intracoastal waterway, picnic areas, a playground and an awesome restaurant called Park & Ocean (the food is only average, but the great drinks and views make up for it). I find it way too hot to visit during the summer months (there is very little shade and the mangroves seem to hold in the heat), but it was a really enjoyable place to visit in February and March. The park does offer lots of fun activities that could appeal to older kids, including canoe and kayak rentals. The park is open from 8:00 a.m. to sundown, 365 days a year. Fees range from $2-$6. Those are my favorite things to do in Fort Lauderdale with an infant (now young toddler—where is time going?!). Older kids will love the multitude of water activities, such as hitching a ride on a water taxi around the intracostal (we did this with Baby Girl shortly after we moved here, so I don’t think she got too much out of it), taking a journey on the Jungle Queen or even going on a fishing trip (Matt did this on Father’s Day and brought back some nice king mackerel). Miami is also a hop, skip and a jump away, so you’ll never run out of things to do. My advice? Just avoid summers here if you can.